Home Google Drive Google Docs Accounts gets 5GB free storage, Is this Google Drive? Google Docs Accounts gets 5GB free storage, Is this Google Drive? Google Drive is the hot topic on the Internet. Everyone's waiting for Official announcement from Google about Google Drive. The another rumor roaming on internet about Google Drive. Google implementing Google Drive 5GB storage space to Google Docs. Now someone's gets 5GB of free storage for their Google Docs account. 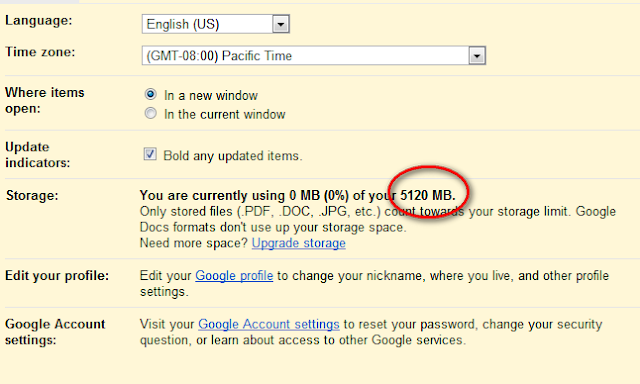 Kwan Nam on the Google Plus sharing a Screen shot of Google Docs 5GB storage space. Is this Google Drive? I think Google implementing Google Drive for randomly to users. 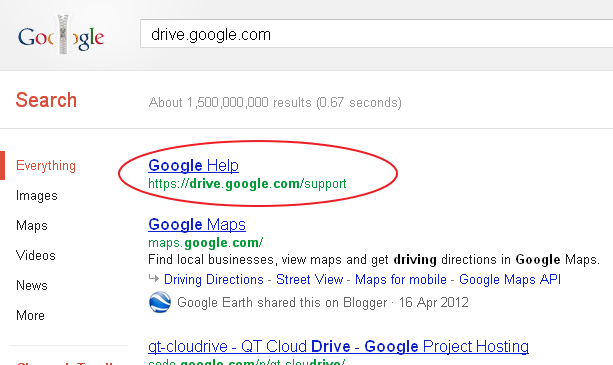 and also another proof from G+ user If you search drive.google.com on Google, you can find a URL like https://drive.google.com/support what is this URL? I think Google will officially announce about Google Drive today or tomorrow. So wait a day to know all these rumours are comes true of fake.